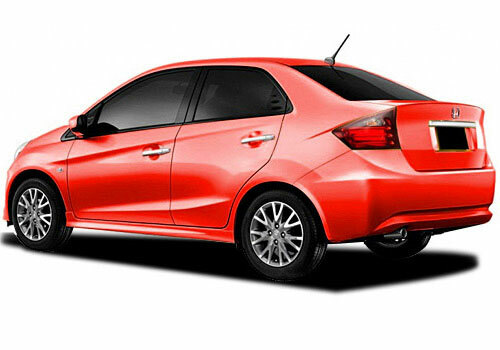 The new Honda Brio Sedan is planned for launch in June 2013 in South Africa. At Mekor Honda we are obviously anticipating the launch with great excitement, following the huge success of the Honda Brio hatch. The new Sedan’s exterior design gives the Brio a more aerodynamic edge to suit its economical engine. The Honda Brio Sedan is branded the Honda Amaze in India, and details here are taken from the Indian release. With a fuel efficient 1.2 litre i-VTEC petrol engine, the Brio Sedan promises to reach up to an impressive 13kmpl on city roads and 17kmpl on highways. The option of a 1.5 litre i-DTEC diesel engine, able to reach 16kmpl on roads and 20kmpl on highways will follow, and both will be fitted with a 5-speed manual transmission. It’s anticipated that an automatic gearbox will also be available in the near future. The Brio Sedan has hidden power that it is longing to show off with a maximum of 88bhp. The diesel reaches a maximum power of 90bhp. The inside has been upgraded, and the interior of the new Honda Sedan will be loaded with an array of comfort features, from air conditioning and automatic climate control, to a 2-Din audio system with USB, Aux-in and iPod interface. To help you from being distracted by all the technology, audio controls are mounted on the steering wheel for the driver. In addition to this, the car will come with anti-lock braking system, electronic brake force distribution system, brake assistand dual SRS airbags. The new Honda Brio Sedan will definitely make an impact on the South African market. For more details on exact arrival times and specifications, contact your nearest Mekor HONDA dealer.